"You never know when someone's going to pop up." And… you're it! Warner Bros has finally debuted an official trailer for the summer comedy movie Tag, based on the true story of a massive game of Tag that a few guys have been playing every year since they were kids. The game is so competitive, so intense, that people will fly all around the country just to not be the one who is "it". Yeah, it's crazy. The movie is about a small group of former classmates who organize the elaborate, annual game. With a rockin' cast: Ed Helms, Jake Johnson, Annabelle Wallis, Rashida Jones, Isla Fisher, Leslie Bibb, Hannibal Buress, with Jon Hamm and Jeremy Renner. As fun as this looks, it is actually going to have anything to say, or just: hey, be as crazy as you can, because why not have fun? Take a look and let us know if you're up for this. One month every year, five highly competitive friends hit the ground running in a no-holds-barred game of tag they’ve been playing since the first grade—risking their necks, their jobs and their relationships to take each other down with the battle cry "You're It!" This year, the game coincides with the wedding of their only undefeated player, which should finally make him an easy target. But he knows they’re coming…and he’s ready. Based on a true story, Tag shows how far some guys will go to be the last man standing. Tag is directed by filmmaker Jeff Tomsic, making his feature directorial debut after a few short films and TV work previously. The screenplay is written by Rob McKittrick and Mark Steilen, screen story by Mark Steilen, based on the WSJ article entitled "It Takes Planning, Caution to Avoid Being It" by Russell Adams. 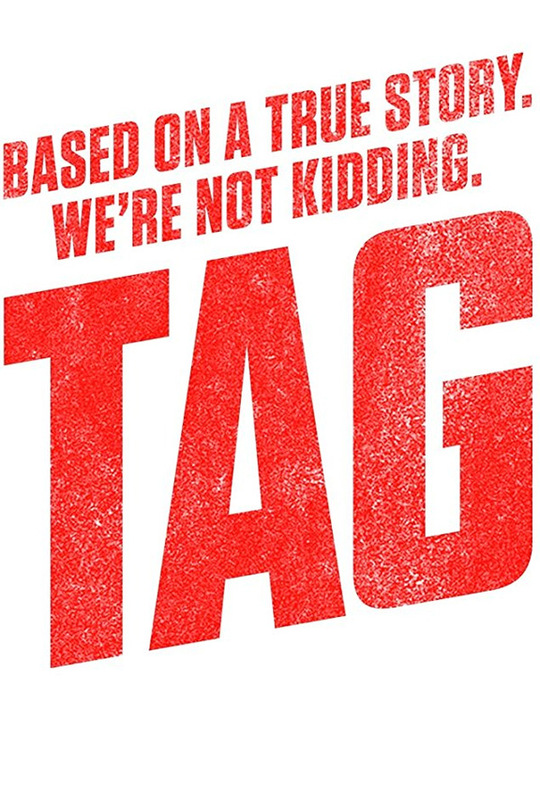 Warner Bros will release Tag in theaters everywhere starting on June 15th this summer. Who's in?